Computational science, comprised of modeling and simulation, is a new theme in the new 2019 Dutch secondary education informatics curriculum. 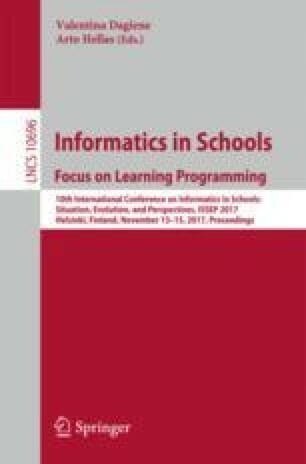 To investigate the pedagogical content knowledge (PCK) on modeling and simulation, we interviewed ten informatics teachers and analyzed their PCK, distinguishing its four elements - knowledge of goals and objectives, students’ understanding, instructional strategies and assessment - and investigated potential differential features of their PCK in order to typify teachers’ individual PCK. We charted the teachers’ PCK in terms of these four elements and found differential features related to knowledge of goals and objectives and related to knowledge of assessment, dividing these teachers into four distinct groups. However, these differential features do not lead to distinct types of PCK. Our findings will be used to explore the future development of teachers’ PCK and they will contribute to the development of teaching materials, assessment instruments and teacher training courses on modeling. This work is supported by the The Netherlands Organisation for Scientific Research grant nr. 023.002.138.